In a tale as old as the entertainment business, someone starts a band and then somewhere down the line, that person finds a desire within themselves to make a solo record. The initial premise is as commonplace as common time but it’s less common for the source inspiration of a solo record to intentionally highlight the influences and core spirit of the full band from which one is taking a temporary break or permanent split. 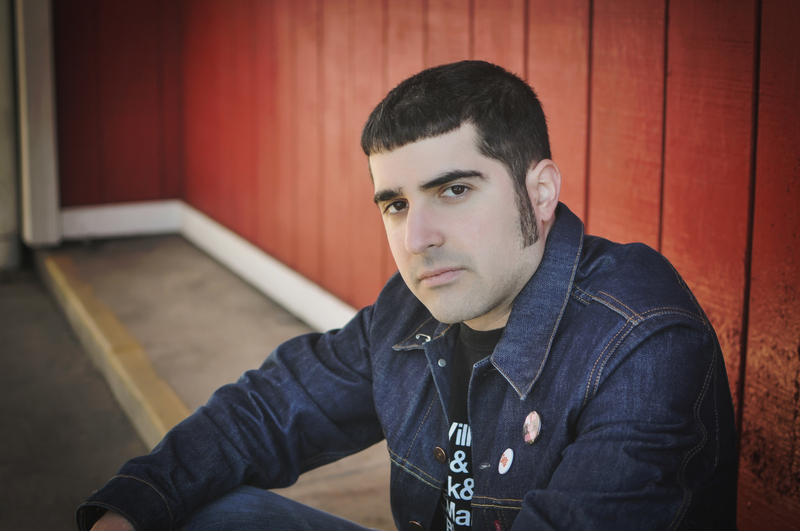 Pete Mancini’s latest chapter of musician life is unfolding just so, with the Bellerose, NY songwriter taking the former over latter type of reprieve from his initial project, Butchers Blind. Together as an Americana/Folk rock quartet since 2009, Butchers Blind just released a full length, less than two years back, titled, A Place in America (Electric Giant Productions, 2015). The release is a well written and assembled body of work that displays all the sounds, styles of play, and subject matter of a band squarely in the Americana space. Knowing this, what could a solo effort by Mancini, Butchers’ primary songwriter, possibly display, aside from perhaps a lighter hand in the arrangement department, in contrast from the quality already out there via the band? Wouldn’t the result just be songs in the style of Butchers Blind assembled by one person instead of four? This turned out not to be the case with Foothill Freeway (Paradiddle Records, 2017), the 10 track solo record that Mancini can now call his own. While Mancini made it no secret that he was aiming to shine a light on the influences that Butchers Blind take so very much to heart, the songs that came about with ‘Foothill‘ are, if anything, made to exist more like a musical family tree than a direct cut and drop emulation of beloved peer bands. Mancini does indeed strip volume and instrumentation away, leaning toward more acoustic and natural tones and establishing space from the mildly amped up sounds of Butchers Blind. A cornucopia of classic roots and folk fare (dobro, mandolin, pedal steel, guitar, fiddle, banjo, bass), in addition to piano, cello, and drums, is in attendance. Manicni alone, takes on five instruments alongside his vocals. Just from these elements, the album might seem to set project more of a neo-grass than anything but everything from the tempos, to the arrangement of these instruments, to Mancini’s less than southern-tipping voice (at times, he actually sounds quite like Dan Haseltine from Jars of Clay), lets Foothill Freeway comfortably settle into an old-fashioned roots sound that evokes the likes of Old Crow Medicine Show (“You’re Gonna Change”), and the beautifully minimalist, vulnerable storytelling skills (“Foothill Freeway”) of the likes of solo Allison Krauss. (Krauss is a great long-standing example of one who deviates from and reconnects with band and self regularly). Given the emphasis on solo exploration, what’s probably the most interesting aspect of Foothill Freeway, is that Mancini found himself among and creating in the company of several other musicians (Russ Seeger, Wes Houston, and Iain Matthews) whose songs are re-imagined by Mancini; this in addition to members of Butchers Blind. Thusly, there’s an almost “and friends” feeling sewn into Foothill Freeway but ultimately, everything is an embodiment of Mancini’s sonic vision for the music and it’s on that note that we started a conversation about this new endeavor. Kira: I’d like to start with offering congratulatory praises. It’s difficult enough today as it is, to make a record and get it out there, let alone to do so with a band and then discern one’s artistic identity as a solo performer. These songs, some of which are original compositions and some of which are renditions of others’ work, are supposed to showcase the artistic and stylistic influences that have shaped your band, Butchers Blind. How well do you feel Foothill Freeway accomplishes this goal and, what kind of – excuse the humor – footprint, do you believe it will leave with listeners (both those familiar with Butchers Blind and those who might just stumble across this new album on its own)? Pete Mancini: Thanks! ‘Foothill Freeway’ was a great opportunity to dive into the rootsy-er country influences of Butchers Blind. It’s more of an acoustic-based record, which is something I’ve always wanted to do. As with any album I have released in the past, I just hope people will enjoy the songs. I try not to dwell on how it will be perceived because each person will hopefully have their own takeaway from it. Kira: Now, up to this point, Butchers Blind has been your primary music making outlet and you’ve stated that leftover material from your last release, A Place in America (Electric Giant Productions, 2015) and newer but more leanly arranged material, were big reasons for your initially considering a solo record. Considering that some members of the band contribute on Foothill Freeway, what made distinguishing this as a solo venture feel like the right move, as opposed to perhaps tinkering with the instrumental balance of Butchers Blind – at least temporarily for this album? Mancini: Each record is like a puzzle, and while I was figuring this one out it felt like the right time to put something out under my name. It started out as a 6 song EP and eventually became a full length album. It has a different feel from the Butchers Blind stuff, which ultimately influenced my decision on how to release it. Kira: You draw inspiration, motivation, and passion, from a combination of roots and American rock artists, across a slew of decades. In today’s industry, so much of what makes a style or a musical aesthetic identifiable is getting stirred up together, and in a myriad of ways, with little concern or regard for distinction as genres take less priority. How, if at all, do you contend with this current trend of attention toward music and, how do you specifically, try to connect with new ears amidst pressure to dilute? Mancini: I think the industry is still getting used to the streaming model. It’s great that everyone has access to anything they want, but it’s a double-edged sword. The pressure is on songwriters to hone their craft to the point where they stand out from the crowd. I think the only thing I can do is strive to be a better songwriter with each release. I don’t put much stock in genre-labeling, I try to write what I feel. Hopefully people connect with that first. Kira: Adding a small addendum to the above, what’s one cliché of trying to make it full-time in music, that tends to get blown out of proportion and-or is a lot less intimidating than it’s made out to be? Mancini: I’ve had a lot of people ask me about “groupies,” which is funny. I think the whole “glamorous rock star” cliché has been dead for a while. The reality is a lot of hard work, and a lot of ups and downs. Going the DIY route is tough but also a lot less intimidating once you start doing it. Kira: Speaking of connecting with new ears, while there are thousands of articles out there on everything from how to navigate the music business, to how to assemble a professional EPK, it would be an understatement to say it’s still difficult to get one’s music to stand out in the ocean of every day releases. You’re a self-producing songwriter yet with each release, whether it’s Butchers Blind or this new solo venture, there’s a consistent degree of push behind each project and a respective reaction by the industry at large via everything from radio play, to editorial features, and of course, a variety of reviews on the local to national brackets. What works can differ from person to person but what’s the method that has synced so well for you to be at the place you are in your career? Mancini: Over the years I have been fortunate enough to connect with people who believe in my music – namely the folks at Paradiddle and Electric Giant, NYRMA, and college radio stations like WUSB – who have been immensely helpful in getting the word out behind each release. I try to keep everything consistent across the various platforms for promotion, which helps with outreach. After several albums we have made some great connections and met a lot of people. It’s one of my favorite aspects of this business. Kira: So, going forward, does Foothill Freeway represent a kind of reaffirmation of Butchers Blind’s core sound (as in, don’t go expecting a radical change in vector on the next EP, LP or otherwise)? Mancini: Right now we are tossing around some ideas with Butchers Blind, and I have a few songs stashed away. It might take some time but we will see what form they eventually take. I would like to make a big rock record someday, but who knows! Kira: In thinking of those reading this interview from way in the back of the room, let’s re-phrase the last question another way. I say “American music is,” you say…. Mancini: Honest. It’s the one quality that defines all the best American music. If it’s not honest, you can hear it almost immediately. Kira: Now for the fun icing on the cake! Foothill Freeway is great for this questions because there are so many instruments on this album. What is your favorite piece of musical gear and what’s your favorite memory you have with it? Mancini: I’m a big gear nerd, so I’m really excited to answer this one! My favorite piece of gear would have to be the Esquire I built with my friend Joe Pichkur. He is an amazing luthier who has a shop in Floral Park. I wasn’t happy with the standard choices Fender was offering so I figured I would buy some various parts and see what happened. It ended up being a great learning process that helped me connect with the guitar in a new way. My favorite memory with that guitar was playing the main stage at the Great South Bay Music Festival. Lately I’ve been having a lot of fun with my new BBE Windowpane Fuzz pedal. I got it for a steal and it’s perfect for the crazier moments onstage with Butchers Blind. On the acoustic side of things, my friend Buddy Woodward (Dixie Bee Liners) recommended the Fishman Aura Spectrum DI, which has totally changed my outlook on stripped down gigs. I could talk gear all day! Pete Mancini will be celebrating the release of Foothill Freeway with two upcoming shows this week. Full information below. Butchers Blind are seeing The University Café through to the end!